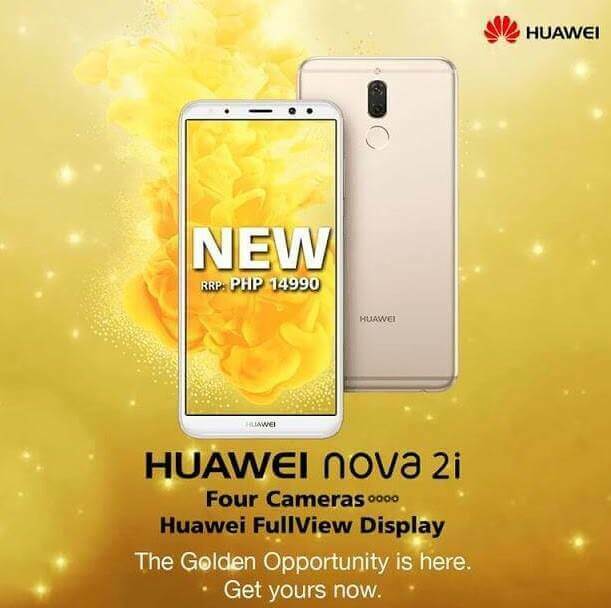 Huawei Mobile Philippines has announced that the Nova 2i smartphone is now available in Prestige Gold color variant. Technically, there’s nothing new with the Prestige Gold variant except for its different color appearance. With this, it still sports dual cameras in the front, and another two at the back. On that note, it comes with 16-megapixel + 2-megapixel rear cameras, and 13-megapixel + 2-megapixel front shooters. It also flaunts the same 5.9-inch Full HD+ display that has 18:9 aspect ratio. Inside, it is powered by 64-bit HiSilicon Kirin 659 octa-core processor clocked up to 2.3GHz, paired with dual core Mali-T830 GPU. The device has 4GB of RAM, and 64GB internal storage that is expandable up to 256GB, as well. The Nova 2i is now available nationwide for PhP14,990.